J.D. 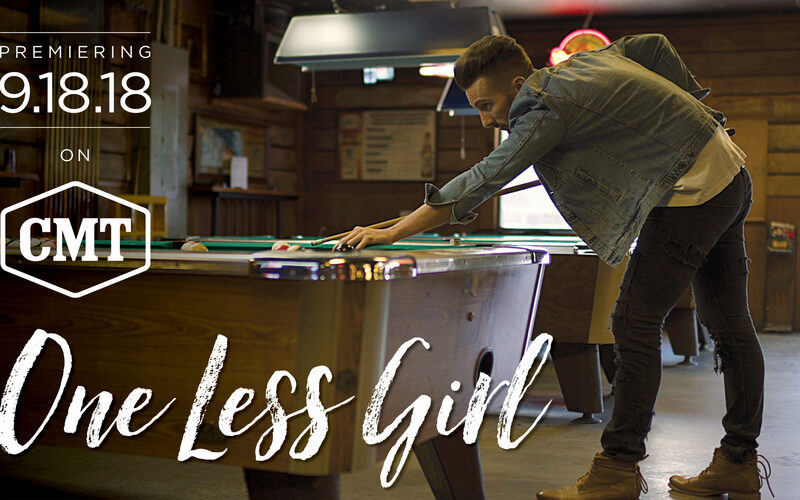 SHELBURNE’S “ONE LESS GIRL” VIDEO PREMIERES ON CMT | 2911 Enterprises, Inc.
NASHVILLE, Tenn. – Nashville recording artist J.D. Shelburne is excited to announce the official video for “One Less Girl” – the first single from his newly released album, Two Lane Town – has made its premiere on CMT today. The video will air 8 times today on CMT’s 24/7 digital music channel, CMT Music, and CMT.com between 6-6:30 am ET; 9-9:30 am ET; 12:30-1pm ET; 3-3:30 pm ET; 6-6:30 pm ET; 9:30-10 pm ET; and 12-12:30 am ET; 4-4:30 am ET the morning of Sept. 19. Shot and recorded in both Nashville and Franklin, Tennessee, the “One Less Girl” video gives the viewer a personal look into the emotional reflections, and post-breakup memories that linger from a relationship that no longer exists. SEP 19 Timber Pointe Golf Club – Poplar Grove, Ill.
SEP 20 Bourbon, Bluegrass and Bluejeans Event – Chicago, Ill.
SEP 21 Hurstbourne Country Club, Bourbon, Boots & BBQ Concert – Louisville, Ky.
SEP 23 Ole Red – Nashville, Tenn.
SEP 27 SIP + SEE @ Marriot Hotel – Louisville, Ky.
SEP 28 The GOAT – Louisville, Ky.
SEP 30 Ole Red – Nashville, Tenn.
OCT 05 Keeneland Race Track, Lexington, Ky.
OCT 05 Anjay’s Kids Charity Event @ Kentucky Castle – Versailles, Ky.
OCT 07 TBA – Nashville, Tenn.
OCT 10 Tin Roof Broadway – Nashville, Tenn.
OCT 13 Harvest Homecoming – New Albany, Ind. OCT 14 TBA – Nashville, Tenn.
OCT 15 Private Event – Louisville, Ky.
OCT 16 Private Event – Louisville, Ky.
OCT 19 Waylon’s Feed & Firewater – Louisville, Ky.
OCT 20 Bourbonanza Street Fair – Frankfort, Ky.
OCT 20 ClarksFest – Clarksville, Ind. OCT 20 Halloween Bash, Private Event – Simpsonville, Ky.
OCT 21 TBA – Nashville, Tenn.
OCT 24 Levee at the Riverhouse – Louisville, Ky.
OCT 26 Kentucky Derby Museum @ Winstar Farm Gala – Louisville, Ky.
OCT 28 TBA – Nashville, Tenn.
OCT 30 The Wahlberg Foundation Event @ Freedom Hall – Louisville, Ky.
NOV 01 Puckett’s Franklin – Franklin, Tenn.
NOV 09 The blind Squirrel – Louisville, Ky.
NOV 21 Levee at the Riverhouse – Louisville, Ky.
NOV 24 The GOAT – Louisville, Ky.
NOV 30 Opry City Stage – New York, N.Y.
Country Artist J.D. Shelburne grew up on a tobacco farm in Taylorsville, Kentucky, a tiny town southeast of the Ohio River near Louisville, Kentucky. At age 19, he found a guitar after the death of his grandmother and began learning to play and sing on his own. By his sophomore year of college, he had found a few gigs at some local bars in the Louisville/Lexington, Kentucky area and developed a fan-base that eventually landed him on some of the biggest stages in the business, opening for some of the nation’s hottest stars.